If you’re looking for amazing Bali getaway that lets you relax and explore by day and party by night, look no further. Located close to the action, you’ll schedule your next stay before you even leave. Clean and neat bedrooms are accented with funky interior design touches to give a fresh, tropical beach feel throughout. Accessed via a quiet, leafy road, off the main road, so you can retreat from the hustle and bustle, without sacrificing convenience and accessibility. Live the best of your Bali holiday with us! 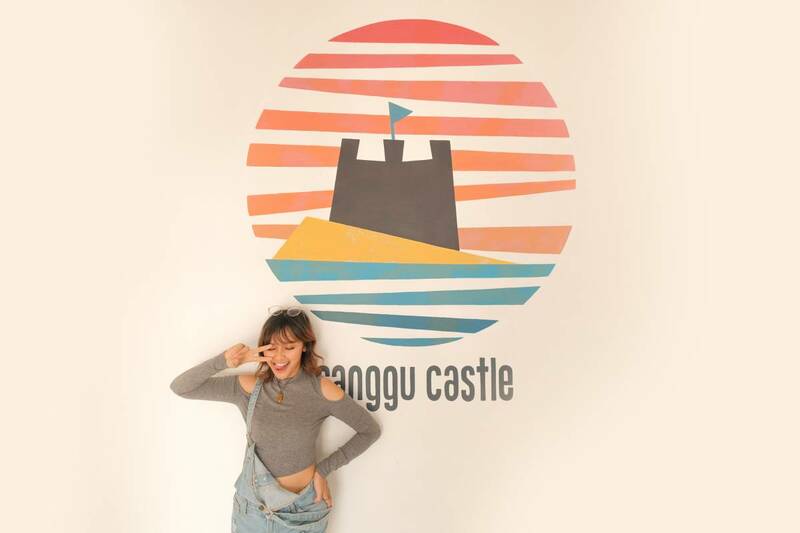 Since October 2018, our hostel delivers the perfect combination of surf, party and relaxation in the heart of Canggu, Bali. We offer a fully operating bar open all day, a self-service kitchen, free WiFi, 24-hour security, airport and activity transfers, motorcycle rental, party excursions, a pool with 5 meters dive tower, and of course all the best tips and insights by our incredible friendly staff. 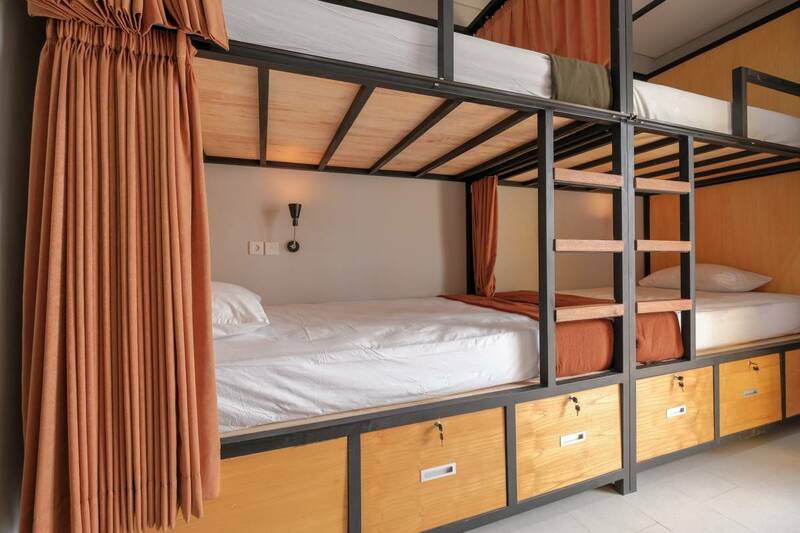 Dormitory style and range in size from 2 beds upwards. They offer mixed accommodation. Fully Air Conditioned. Linen supplied including Towel. Ensuite bathroom. Featured custom Bed - providing each guest a night-light and power socket. 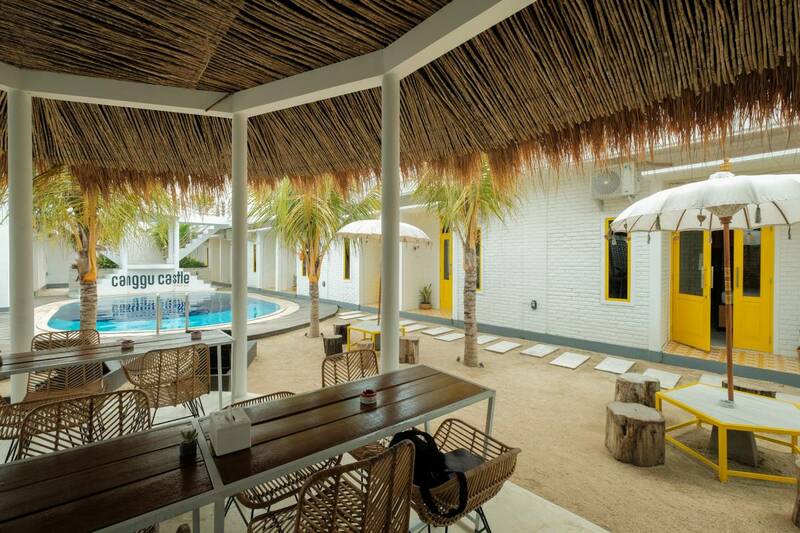 Berawa kitchen Outdoor tropical atmosphere food hall located in the cool hipster neighborhood of canggu. Enjoy their Menù with all natural ingredients ! Slice of pizza, Pizza in Teglia, Pizza Tonda, Calzone, Baby Pizza, Lasagna. THE REAL ITALIAN FLAVOUR ! Taking fresh local produce and building on old-fashioned ideas to bring you slow-cooked meats, homemade sauces, delicious vegetarian options and simple, clean and feel-good food in an unpretentious and relaxed environment. Take a taxi from the airport, head to Canggu area. We are located in Jalan Raya Semat. Find our partner, Berawa Kitchen, and enter the lane 5 meters away from here. For any help, you can call us directly.